My overarching blogging goal is to post higher quality content consistently. Post at least once a week from here on out. (starting 2018-01-18) This should be achievable barring unforeseen problems such as the cyclone that cut power to my area for more than a week last year. Prioritize posts based on reader and personal interest as well as preparation time. 2018-03-27: After a month of slacking off, I am now back to posting on a regular basis. I’ve found One Calendar and One Task apps for Windows 10 to be especially helpful in keeping on track. I need to read a lot more. I will need to prioritize reading based on current interests. Read at least one book each fortnight. I am measuring this using the Goodreads annual challenge. I’ll prioritize based on current interests. 2018-03-27: Due to slackness on my part, I haven’t read as many books as I’d like. I am, however, regularly reading material on various subjects via content such as blog posts. I am attempting to increase the number of books I read. I have dragged my feet on projects for long enough. It is time to finish my first book and develop healthy writing habits. Anything beyond that is gravy. Finish Way of Magic Book 1 during Camp NaNoWriMo in April. Finish Enigma of Lilac, my first contemporary romance. Finish Cruze Book 1. I’d love to write the entire trilogy but I’ve never finished a book before, making it a great starting point. Baby steps! 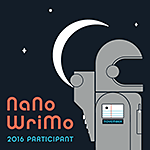 2018-03-27: I signed up for the upcoming Camp NaNoWriMo in April a few weeks ago and am working to do some necessary preparation ahead of it starting next Sunday. I’ll try to post ongoing progress throughout. I have gained a lot of weight over the past few years. It is time to get fit and healthy. Get down to 55kg, the suggested healthy weight for my height. I’ll need to exercise more and eat healthily from here on out. I’ll need to weigh myself regularly as well, to measure progress. I’ll also be watching YT videos and reading material on both diet and exercise as a means to keep in the right frame of mind. Give hubby some competition for a change. I’ll need to periodically measure progress, but this will likely be put on hold until he begins his next vacation. Do consistent sets of pull-ups. I’d love to do muscle-ups but baby steps… I’ll seriously need to work on my upper body. Losing weight will cut down on what I need to lift but I am not naive as to think I will achieve this goal overnight. I also need to get the appropriate bar or rings set-up. I’ll need to measure progress regularly, which will involve doing movements that work specific muscles and muscle groups used for pull-ups. 2018-03-27: I am keeping an exercise diary. The current routine involves doing push-ups, squats, and sit-ups. I am strongly considering adding in tricep dips as this show develop my triceps, back, and shoulders. I am also giving intermittent fasting a run. Unfortunately, I still haven’t set up the Wii in order to measure my weight. That makes it difficult to measure efforts to lose weight. I will have to address this in the next few days. I want to get back into learning again. I’ll need to reexamine my interests and pick courses that these interests give me a higher likelihood of completing. Finish at least two short courses or one longer course each month. (starting 2018-01-18) Prioritize according to current interest and get stuck in.